recommended for: Fans of Jane Austen, Sharon Cameron (The Dark Unwinding), and gothic mystery. will i read this author again? : Definitely! will i continue the series? : If there is one. A chilling gothic mystery steeped in romance, murder, and laudanum. 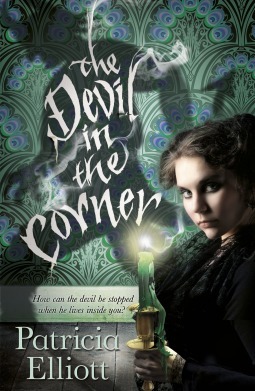 A must for fans of Victorian sensibility and crime. I can see readers being quite divided on this one. 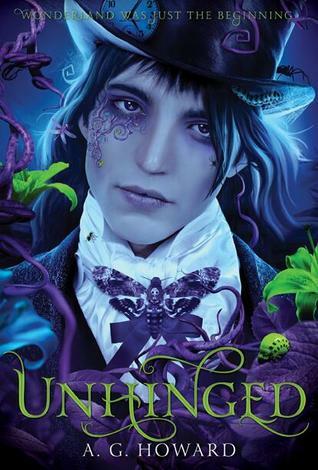 It's a languid, Victorian tale with an ornate style and a main character ambivalently teeterig between wicked and good. Maud is not always the easiest to root for and I can see readers disliking her. However, I loved her wickedness as much as her goodness. She's clearly broken and driven by addiction as much as compassion. It's actually as unflinching a look at addiction as some of the contemporary work. It's also a look, like Witch Finder, at the dark side of womanhood in the Victorian era. I enjoy the Victorian style and didn't mind the slow buildup at all, though I can imagine others might find it boring. However, even for me, the book really came into its own in the second half, when the mystery became more important, tensions between the characters stretched to snapping, and the quasi-supernatural elements ramped up. While I thought Elliott could have made the "devil" motif more salient, particularly early on, I appreciated her clever weaving of the religious and addiction imagery. Her work shows a mastery of language and a comfort with Victorian idioms and customs that grants her work authenticity. I read this book nearly fully over two nights--once it caught me, I couldn't go free without reaching the end. My main contention with the plot is a disjointed feeling between the first and second half. Part of it was, I think, the strange use of Maud's past. We get a clear sense that her three positions as governess ended badly in traumatic ways, but this mystery seems to fade for a while, and then is brought back so briefly that I felt cheated. There's also the fact that John's perspective is absent for the first several chapters. I hadn't been expecting the change, and felt jarred at the sudden new voice. John's perspective in the end also takes us out of Maud's head at a very crucial time for her character development. However, in general, the split perspective and the pacing worked. Elliott's a master of tension and dramatic irony. She uses the split perspective to create Shakespearian situations of missed chances and cringingly unfortunate deceptions, to the point where I wanted to scream at the characters, "No, no, you don't know all the facts!" She also throws in drama just when the plot needs a twist. I would have preferred a bit more firsthand looks at John and Maud's relationships, since much of their summer together is told after-the-fact, but I also bought their affection completely. And besides the weird perspective change at the end, the end itself was rapid, exciting, and infuriating in the best way. Like I said--I couldn't put it down. The only conceptual piece I thought was less well-developed involved the Doom and devil. For a major part of the blurb, the Doom painting seems less menacingly present in the text than it should be. Given Maud's terrible premonitions and visions of devilish creatures, I would have liked more connection to the work, which is appropriately all about sin and judgment. It seemed like a missed opportunity. With the Victorian mystery, however, Elliott succeeds. She captures a quietly supernatural country-house mystery ala The Turn of the Screw (only interesting) like she grew up in the age, with interweaving threads of social intrigue, woman's rights, drugs, and God. Her portrayal of Maud as an addict is raw and spot-on. You can feel Maud's desperation and struggle in some of her most deplorable actions, in her horrific sights. And there's always the discomfiting uncertainty whispered in every page--are the devils real, or are they human? It'd make a great Awakening-style thriller. I think the characters were the novel's strongest attraction. Maud is instantly pitiable and also occasionally infuriating. She's poor, abandoned, clearly the victim of something traumatic; broken, desperate to be loved, kind. She's also manipulative, cunning, selfish, judgmental. I hated her most when she hated Sly for his deformity and never repented of her prejudice. I loved her most when she broke herself down for her horrid cousin out of pity and a desperate longing for affection. She's a perfect example of an imperfect hero. John actually felt less clear to me. Next to Maud, he's blander and I liked his chapters less. However, for his purpose, the downtrodden poor artist and love interest, I found him suitable. He was just sweet and naive enough, if not a little lukewarm. Then there are the key antagonists, beginning with the hateful irritating-as-hell cousin Juliana. I pitied her, of course, but I also wanted to punch her in the face. She's coldly manipulative, histrionic, and clearly borderline. Contrast that with Edie, the young maid who is manipulated by Maud and manipulates Maud in turn. These are deeply human devils and easy to invest yourself in. I'm a sucker for the Victorian style of writing. You'd probably enjoy this book if you like Austen, but it's definitely a different feel. Just as pretty and precise but much more layered in doom and darkness. This was a book of many highlights and quotes, picture-perfect phrases and snappy dialogue. It also utilized Victorian phrasing without becoming dense or difficult. I would have loved it just for the writing. Like I said, the pacing is slow. It's not something I minded, but I know that others will find it difficult to stick with--but do! Once you find yourself immersed, you'll appreciate the tense build-up. The POV switching mostly worked in Elliott's favor, except for the pieces mentioned above. It's also beautifully polished. This is tight writing, with no room for danglers and pointless paragraphs.